Expand your UMD network beyond borders. 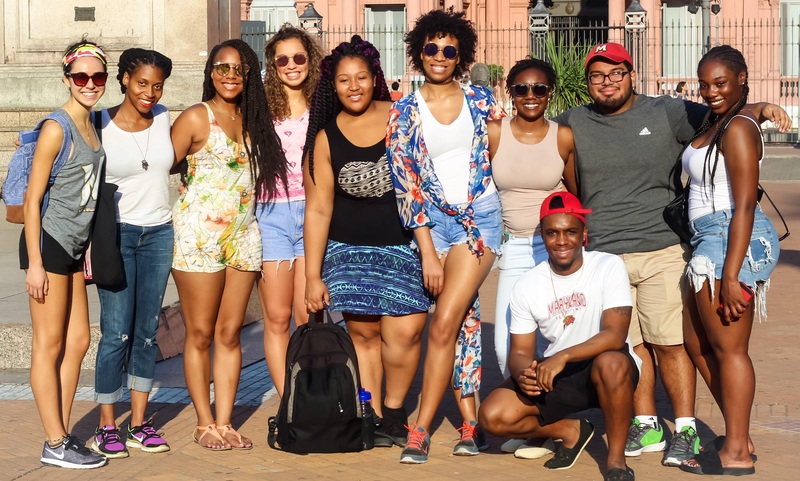 Study abroad on a Maryland Semester, or "Maryland-in" program and live and learn in a global context with the support of a UMD community. Push the boundaries of your comfort zone and boost your resume by living in a homestay, earning credit through an international internship, or joining a club abroad. We craft Maryland-in programs to appeal to students with a variety of academic and professional goals by offering a wide array of resident credit courses where the credit from overseas is seamlessly incorporated into your UMD transcript. On site you have added support from a UMD faculty or affiliated resident director, who provides you with guidance and oversees the program. Meet with an EA advisor to learn more about our signature Maryland-in programs or review the program list below. We can help you determine how the available courses may fit into your four year plan and provide additional information about the program regarding housing, cultural excursions and activities, the program calendar, and more. Access the program application online by clicking on the "Apply Now" button at the top of the program page. You will login with your UMD directory ID and password and submit most application elements online. You should complete all application materials by the stated deadline. If you have any questions about the application, you can contact the program's EA advisor. We will review all completed applications after the deadline. If you are selected to participate in a Maryland-in program, you will work with an EA advisor and our overseas partners to finalize all on-site arrangements.